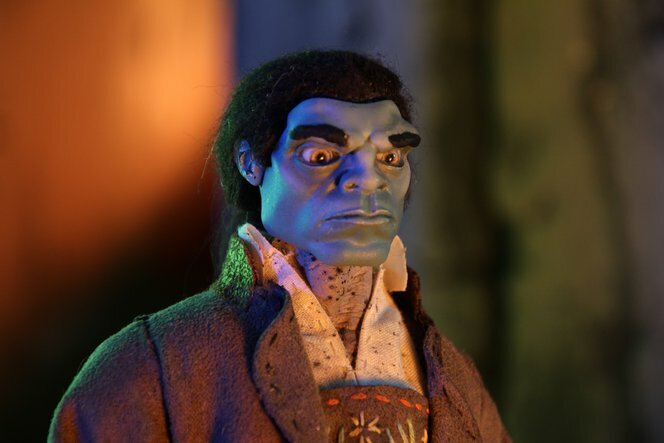 Creator Dawn Brown harnessed the power of 3D printing to make House of Monsters, a spooky stop-motion animation series. Using the Form 1+ 3D printer, her creative team printed hundreds of faces and props for the wacky characters. Behind the scenes with the creator Dawn Brown. What are some of the advantages of using 3D printing for film animation, compared to more traditional methods? DB: Time. Cost. Quality. It’s a win-win-win for us. Once the character was sculpted digitally, it was tremendously fast and easy to alter the facial expressions as needed and simply print out new faces. Using 3D printing allowed us to quadruple our output. The creators used magnets to switch between 3D printed faces quickly. The creators used magnets to switch between 3D printed faces quickly. We printed about 300 faces and props for the show using the Form 1+. It came to about $11 per piece, all costs considered. Previously, the same work would have cost over $30,000. What is your finishing process like with the Form 1+ prints? We exclusively used the black resin and printed at 25 microns for all the character faces. I do the IPA rinses as per the Formlabs recommendation. Sometimes if the pieces are still a little sticky, I post cure them in the sun for a few moments. Then they are sprayed with Kryon Fusion primer, airbrushed with traditional acrylic airbrush paints, and sealed with Krylon Matte Finish. How long did it take you to create House of Monsters? How big is the team? It seems like I’ve been working this for years and years! The web series took about one year to make. Most of the work was done by me and Warren, but our small and mighty team also included Scotty Hewitt, Jon Neill and Dianne Chadwick and well as Playback Recording Studio. The creators used magnets to switch between 3D printed faces quickly. Watch the trailer and find more information on the House of Monsters webpage. The House of Monsters web series will be released through Vimeo on Demand on July 28th.